Prototypes for Luring Ljud, (trick sounds), or sonic Will-o’-the-Wisps. 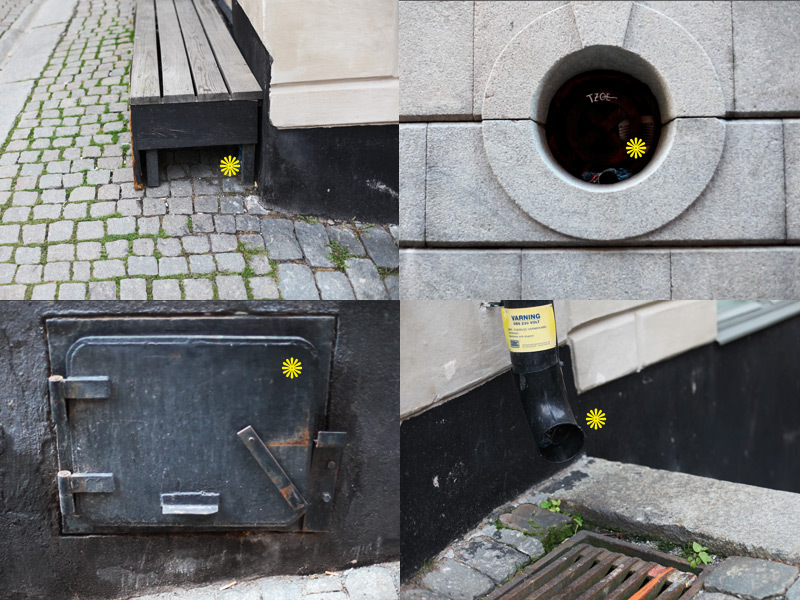 The idea is to place sounds in holes and hidden doorways around the city that make people do a double-aural take and, in doing so, notice parts of the city that would otherwise be unnoticed. The sounds were placed around the quieter parts of the city, as they’re quite subtle and I don’t really want them to scream at people to get noticed. However, saying that, the sound of a voice whistling and saying “hello” are too similar to the sonic surroundings, and perhaps they’re a little too quiet. Only one person did a real double-take and got curious enough to see where the sound was coming from. This makes me think about taking the sounds out of context. What if an elephant trumpeted out of a drainpipe, or a marching band played behind a celler porthole?